"I've Told Every Little Star" b/w "Three Guesses"
As every filmmaker knows, music is integral to our experience of cinema. The right soundtrack can mainline straight into our soul and trigger emotions at will, with us none the wiser. A carefully selected song can elevate the impact of a scene and deliver a response more resonant than would be possible with the visuals and dialog alone. The reverse though is also true. If the audience is already familiar with a piece of music, the effect can be jarring, as the viewer begins to reminisce about memories associated with the music and loses suspension of disbelief. The best soundtracks use music written specifically for the film, or songs which have fallen out of the popular consciousness. 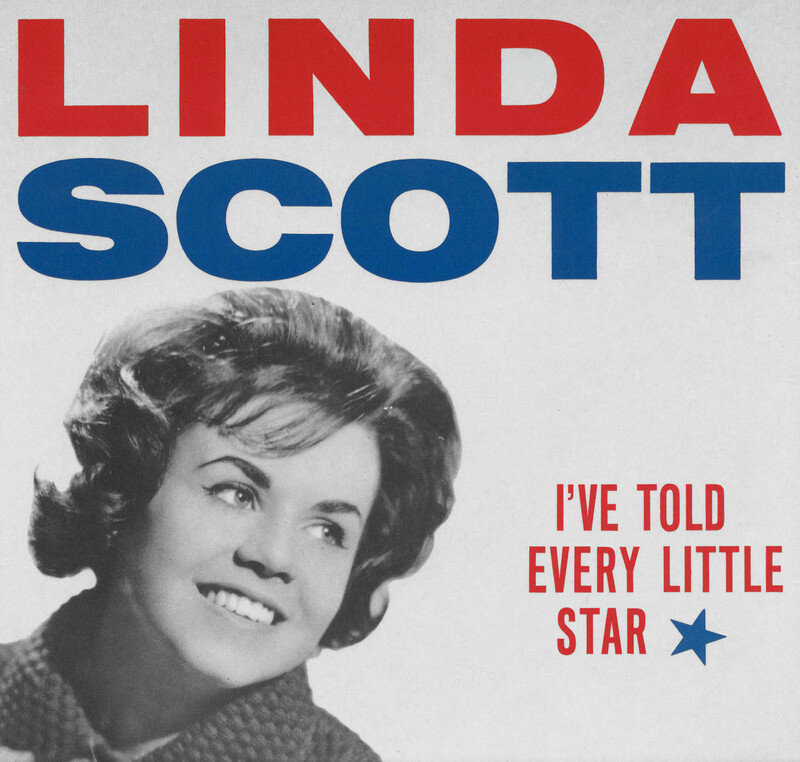 When most successful, the song becomes inextricably linked to the scene in which it is featured, as is the case for me with “I’ve Told Every Little Star” by Linda Scott. It’s impossible for me to hear even a split second of the opening “Dum Da-Dum” and not be transported immediately to the off-kilter version of Hollywood as portrayed in David Lynch’s Mulholland Drive. As the particular scene unfolds, the song increases in the mix several times, hitting its peak volume just as the camera cuts dead center onto a perfectly poised ’60s starlet. Suddenly, the audience has jumped back 40 years and is now watching the movie within the movie. The effect is diminished slightly in the small-screen YouTube clip below, but the impact at full volume when seen in a movie theater is so resounding that I wonder if the scene would have been possible with any other song. Of course, all of this would be besides the point for our purposes here, if the song weren’t so wonderful on its own merits. I wasn’t around when it was released, but if ever there is cause for me to be nostalgic about a bygone era that I was never a part of, the version of the ’60s represented here is the one I want to visit.